Join us for the celebration on April 7th, from 10am- 2pm as Lemon Street Music students and teachers perform at the 38th annual Explorations V Children's Festival in Downtown Lakeland. The sign-up form is located on the information table in our front lobby. Looking forward to seeing everyone there!! Come out to Saturday Market on December 17th, from 9:30AM-2:00PM, and visit the Lemon Street Music Tent! We'll be having LSM teachers and students performing throughout the day! 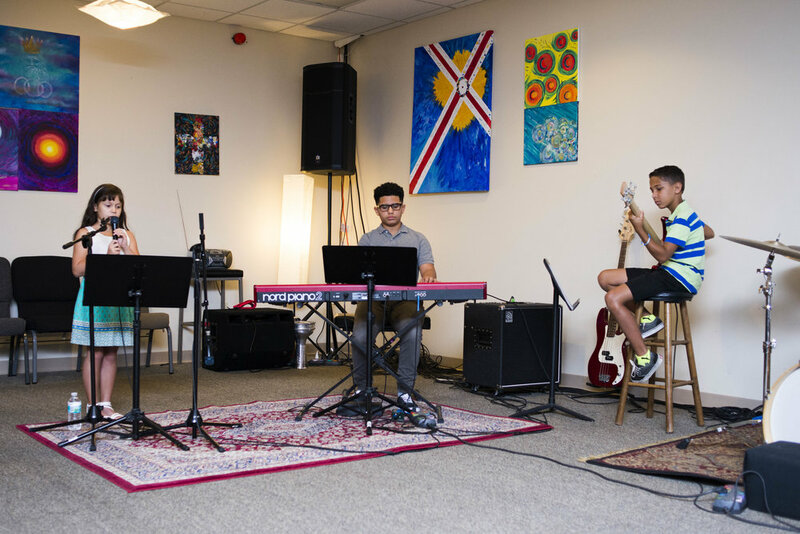 Come join the fun as Lemon Street Music students perform at the LSM Open Mic event, Saturday May 21st, from 10A.M. to Noon! Come join us this weekend as Lemon Street Music showcases our musical talent at the Mayfair event in Lakeland, FL. Come join the fun as Lemon Street Music students perform at the LSM Open Mic event, Saturday February 27th, from 10A.M. to Noon! 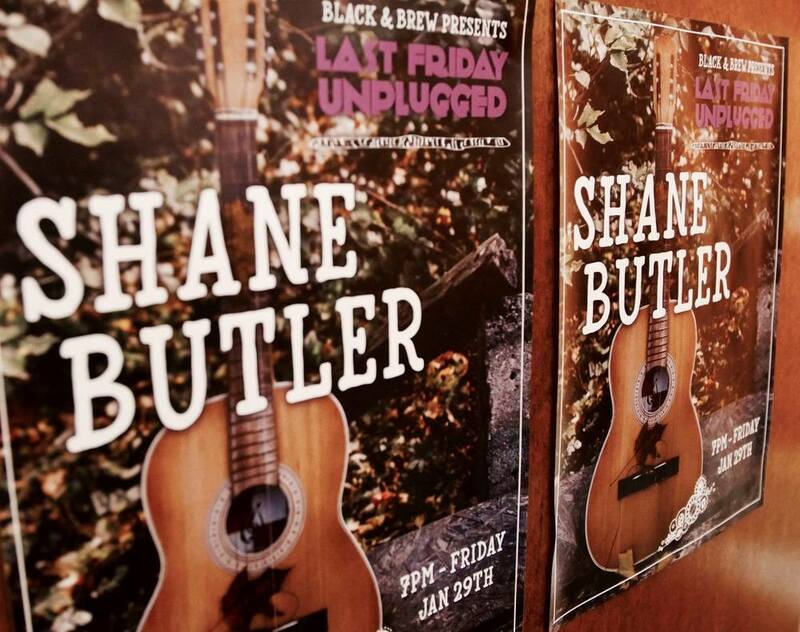 Come listen to Lemon Street Music Artist Shane Butler perform original music this Friday night at Black and Brew's "Last Friday Unplugged" event, in Downtown Lakeland! LSM Open Mic Event... Come Join The FUN!! Welcome back from summer break! It's now time to enroll for the fall term. Our calendar is filling up quickly, call today to reserve your spot! The arts are inherently experiential and actively engage learners in the processes of creating, interpreting, and responding to the world around them. Join us this summer for one or more of our week long camps geared for elementary students. The art camp instructor Jacel Jones has a B.A. degree from Florida Southern College and has three years experiences as an art teacher with Polk County Public Schools. Camps are Mon.-Fri 8a.m.-12p.m., For pricing and additional information click the "camp" tab in the navigation bar at the top of webpage, or call us at 863-640-2810. Lemon Street Music will be holding an open mic event for all LSM students. There will be performances in piano, guitar, voice, bass, and drums. Please be sure to register in person at the LSM studio, and choose your desired time slot. Seating is limited so don't delay... see you at the event! Come Join us as we showcase Lemon Street Music students at the Platform Arts kids event. If you would like to perform for the event please let us know a.s.a.p.! Come join Lemon Street Music artist Shane Butler as he performs acoustic music with several visual artists from The Covenant Center on Kentucky Ave. in front of Palace Pizza. Come Join Chalis and Shane for a weekend of worship and education on health and nutrition at the GNLD Conference located at the Swann Hotel in Lakeland.